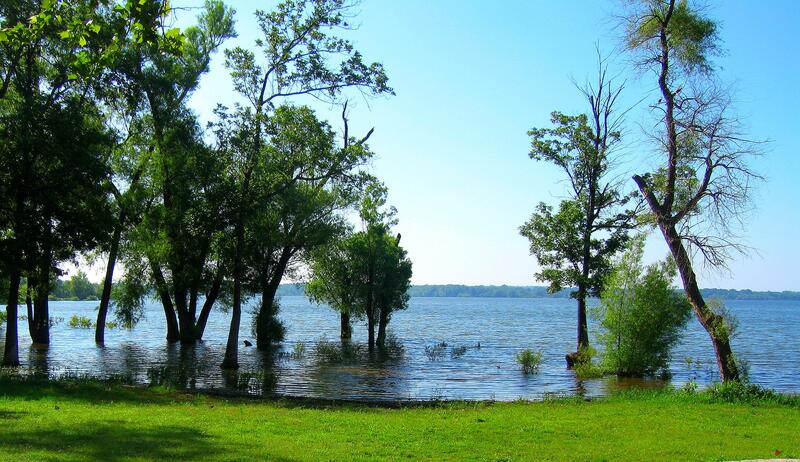 “I hear lake water lapping with low sounds by the shore … I hear it in the deep heart’s core.” – William Butler Yeats. While my route only took me through a northeastern sliver of Oklahoma, I found three state parks in which to camp. In addition to Natural Falls, where the movie, “Where the Red Fern Grows,” was filmed, there were Lake Wister and Bernice, both of which are attached to lakes: Lake Wister, a 7,300-acre reservoir created by a dam on the Poteau River, and 46,500-acre Grand Lake o’ the Cherokees formed by the Grand River at Bernice. The peacefulness and beauty of my nights by these lakes led me to continue seeking out similar campgrounds as I continued my travels – and parking my RV as close to water as I could get . 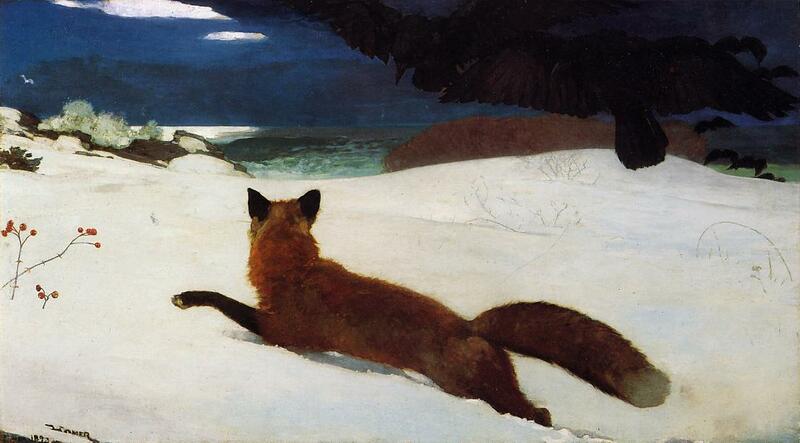 If you like Winslow Homer’s painting of the “Fox Hunt,” you should most certainly check out today’s Bean’s Pat. Often I would find myself falling to sleep listening to the soft murmur of water sloshing up against one bank or another. It seemed fitting that one of the many books I read on my journey was “River Horse” by William Least Heat Moon, whose “Blue Highways” was one of my traveling role models. In this later book, Moon, made his journey across America from the Atlantic Ocean at the New York Harbor to the Pacific Ocean near Astoria, Oregon, in a boat called Nikawa, or river horse in the Osage language. Travels With Maggie: 27,682 words. The original draft was about 60,000 words, so I’m nearing the halfway point, although I’m thinking it might be closer to 70,000 words when I finish, despite the many cuts I’m making. The task of adding my voice to this travelogue is, I think, requiring more than eliminating the redundancies and any boring parks. I might have been farther along at this point except computer woes, which still have not been totally resolved, ate up the better part of two days. Bean’s Pat: Golden eagle attacking a fox http://tinyurl.com/c29uogk Winslow Homer painted ravens harassing a fox, and I’ve seen ravens doing just that, but this photo is way more fantastic. I was blown away by that Golden eagle and fox image, this morning, as well… NEVER seen anything like it. I’ve seen birds do some amazing things, but this photo topped it all. I love reading about your life and travels. I am living vicariously. Thank you, my dear. Thank you Len. I’m so glad I got to meet you in Austin. What wonderful circle of women we belong to. Wow that was a fantastic photo of the eagle and fox. Thanks for the link! Thanks Jim. I lost a whole day today to computer problems. Hopefully everything is fixed now. Is Grand Lake overflowing its banks a little? It sort of looked like it, didn’t it. It was my first time in the area so I don’t know.